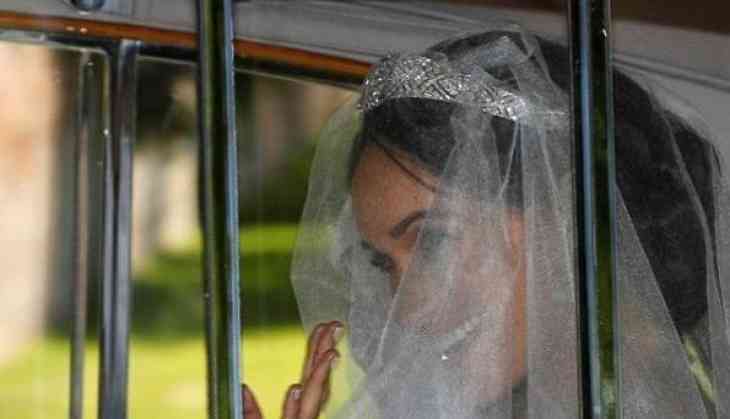 The Duchess of Sussex, Meghan Markle has left the hotel wearing tiara and veil with mother Doria Ragland. Meghan will marry Prince Harry at Windsor. Princes Harry and William were chatting as they walked past the cheering crowds. 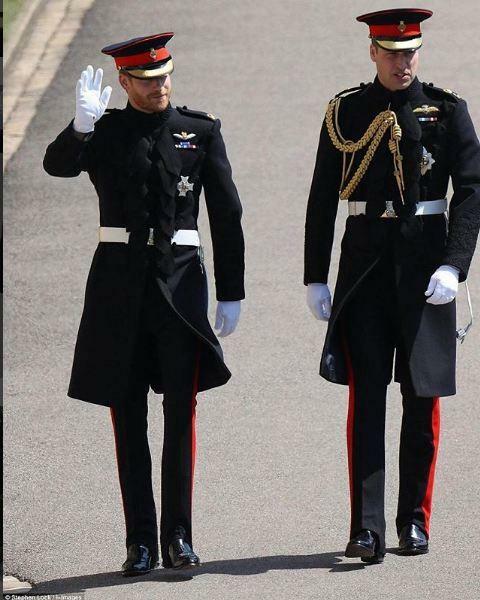 Harry and his best man wore a frockcoat uniform of the Blues and Royals after the Queen gave Harry permission to get married in his uniform. The uniforms were tailored at Dege & Skinner on Savile Row. The badge on the left of Harry’s chest is pilots’ wings attained whilst serving with the Army Air Corps for flying Apache helicopters. The four medal ribbons below the wings are, from left to right: K.C.V.O., Afghanistan with rosette, The Queen’s Golden Jubilee and The Queen’s Diamond Jubilee. The hat is a Blues and Royals forage cap.